Cameras offer a level of home protection that many people find comforting. Outdoor cameras can show you who is at your door, who has been in your yard and if your package has arrived. Panasonic offers a line of smarthome connected security cameras called HomeHawk, that provide safety and peace of mind. 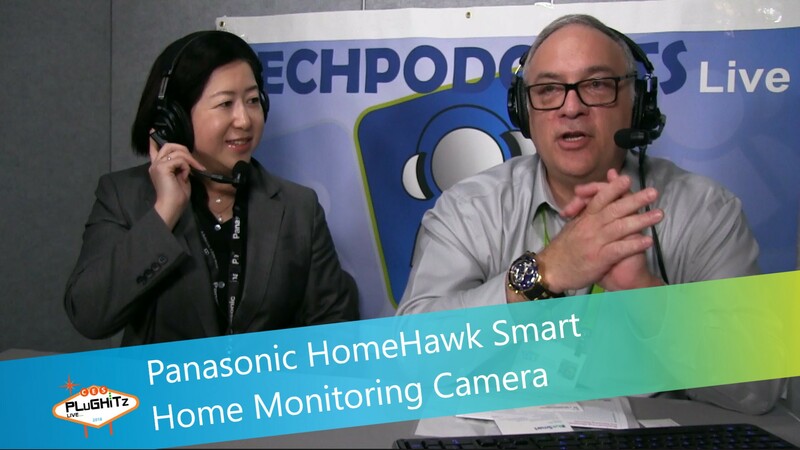 Don spoke with Etsuko from Panasonic at CES 2018, where they discussed Panasonic's HomeHawk line of outdoor cameras. One model is a dedicated front door camera with a very wide view. Another is a small outdoor camera which you can place wherever you need it. The cameras are powered by batteries that last an average of three to four months (assuming you record two minutes per day). These HD cameras are weather resistant and have LED lighting. They offer a super wide view in full color during the day and in color night vision when it is dark outside. The front door camera allows for 2-way talk, which means you can speak with delivery person - or dissuade a thief from stealing your package. A starter kit, which offers the recorder, a front door camera and an accessory camera is currently available for $399, with other configurations available as well, and additional peripheral cameras run $179. Interview by Don Baine, The Gadget Professor.